Your roofing in Peachtree City, GA is a very important part of your home. It is a huge investment, and because of that it is critical that when you have any repairs, roofing work, or roof replacement done it is from a reputable company that is trustworthy. But performing a quick online search or checking the yellow pages will give you a long list of potential companies—so how can you tell if they are trustworthy? Here are four telltale signs you’re working with a good roofer. Often when there is severe weather in areas like Peachtree City, GA roofers will come from out of town (and sometimes out of the state) to try and sell quick, cheap, low quality roof repair to unsuspecting residents. In addition, out-of-town roofers that come after a storm are often pushy and aggressive. It’s much better to work with a company that has a local office and works right here in your community so that if you need additional work done, you want to redeem a warranty, or you have a problem with the roofing work they are available. Be wary when you’re doing research, as many companies will lease local space and get a local cell phone number so they appear to be from the area, when they are actually not. When someone is working on your Peachtree City roofing, they should have both general liability insurance—to protect in case of damage to your home or the area around it—and worker’s compensation—to protect the employees and contractors who are working on the project. If they are lacking either of these, you as the homeowner could be financially liable to cover these damages. Roofing contractors in Peachtree City, GA that are confident they provide great work will often back it up with a guarantee like a warranty. Before you sign a contract, though, read the fine print and make sure the warranty covers the things you need it to, and that you will be able to easily redeem it if necessary. 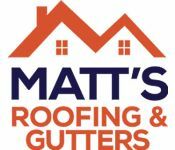 Ask the roofer for a list of previous clients who have had work similar to your project done, then call those customers and find out if they were satisfied with the roofer in Peachtree City. If the contractor cannot provide a list of happy clients, you are probably better off hiring someone else. I have used Matt's on two different occasions. Once to replace a chimney cap and again to install ridge vents. I was very pleased both times with service and work done. I'm going to call them again for a leak I just found on my screened porch. Highly recomend.